Today's So Shoe Me is the Cross Over Platform Pump, $90, available at Nasty Gal. Cross your soles in the holy grail of heels. A vegan leather platform pump with a stick thin cross heel adds an architectural touch without breaking the bank. The geometric lines of the cross heel add a signature element to this classic little black pump and will give your favorite all black separates new life this season. 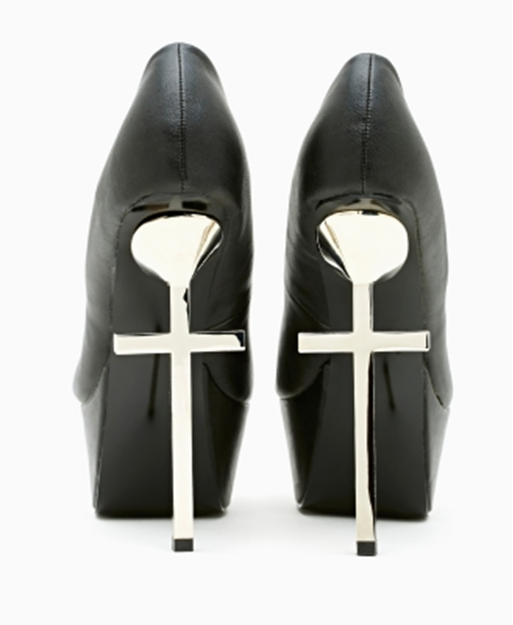 Pair these killer cross heels with a hot little black dress for the perfect night out look in the summer heat. So Shoe Me a pair of sick silver stilettos with an architectural cross design for a signature summer style.